This sweepstakes will begin on 1/28/2019 10:00 AM ET and all entries must be received by 2/13/2019 12:00 PM ET. You currently have 0 entries. These rules apply to the Meat for the Sweet Contest (“Contest”) conducted by Curtis Media Group. d/b/a WSFL (“Station”). In addition, the General Contest Rules attached hereto and posted at wsfl.com apply to this Contest. If there is a conflict between the General Contest Rules and the Rules for this Contest, the Rules for this Contest shall control. 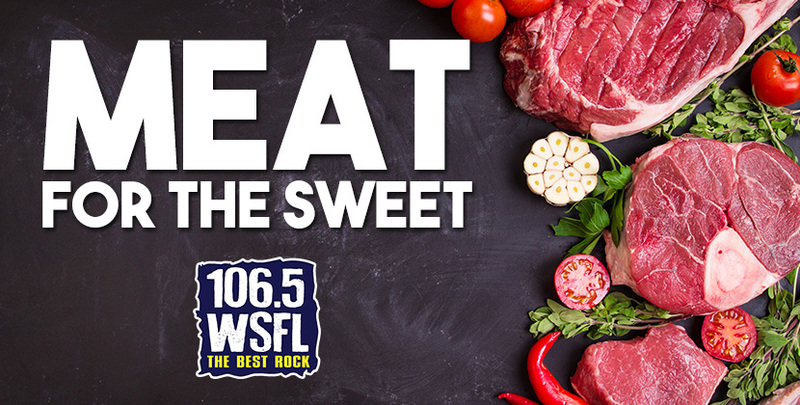 a.The Meat for the Sweet Contest will begin 1/28/19 and end 2/13/19. b.To participate in the Contest, listeners may enter to win once daily at wsfl.com if a member of the Workforce – it's free to sign up. Listeners may enter once daily on the free WSFL mobile app. Listeners may view the WSFL Facebook page for a chance to comment and qualify. Listeners may tune in and call 252-633-1065 or 866-484-1065 when prompted – caller 15 will qualify to win. a.35 quart Engel cooler, $150 Moore’s Old Tyme BBQ gift certificate, $25 grocery gift card. Approximate value $500. (“Prize”). a.One Workforce and one app qualifier will be randomly chosen on 2/13/19 at noon. One Facebook qualifier will be randomly selected on date and time noted in post. Correct callers will qualify instantly. One winner will be randomly selected from all qualifiers on 2/13/19 between 2 and 6pm. b.Winner need not be present or listen to win. Qualifier and grand prize winner will be notified by phone, email and/or Facebook post. If the winner(s) cannot be contacted within 5 days after the prize is awarded, an alternate winner will be selected.